Take a peak at what we learned from 2018 Chicago Designers Data Survey's 213 responses. We believe that quantitative data is grounded by qualitative narratives, so we have included a few of the anonymous comments we received in the open-ended final survey question. Scroll down to read those. Similar to what we had learned from our Boston study, we were surprised that a large percentage of female respondents (21%) vs male respondents (10%) are not planning on getting an architecture license. 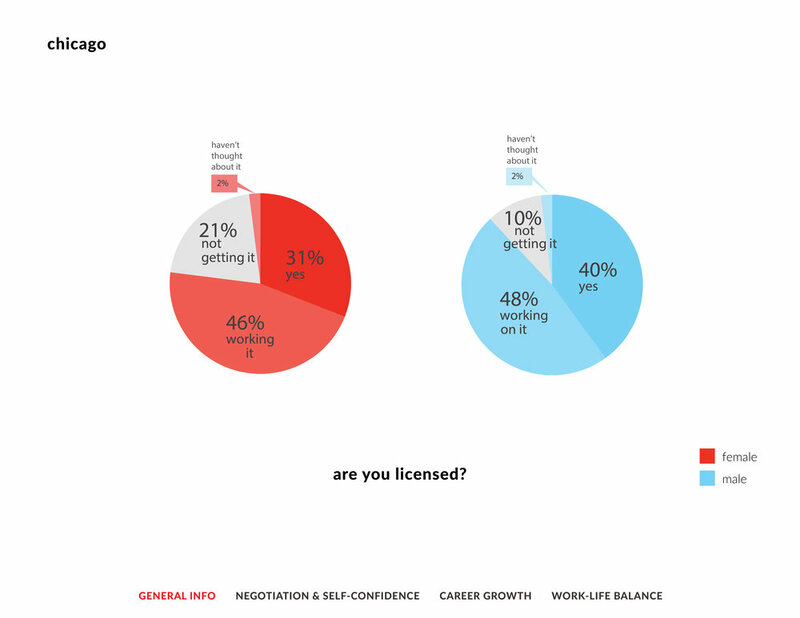 The primary reason for female respondents is a license does not apply to the work they do. 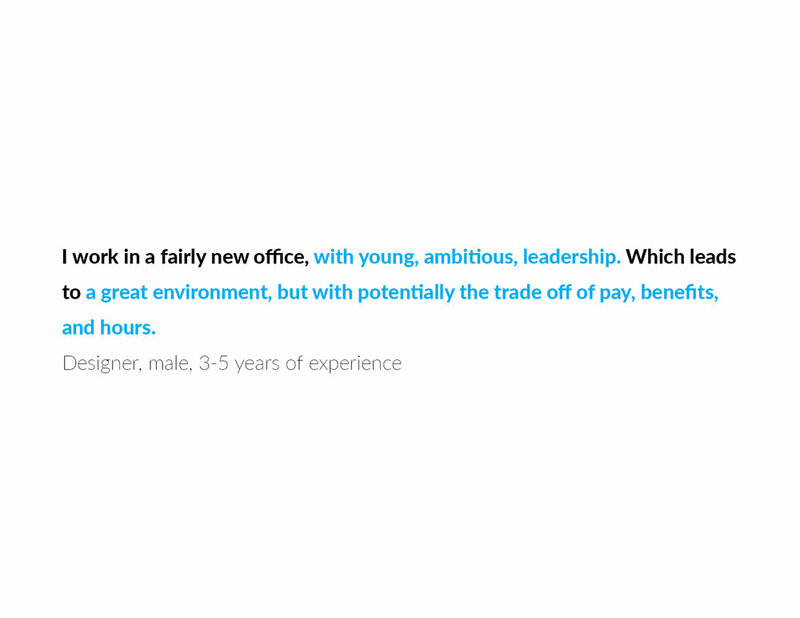 What work tasks are these designers given? 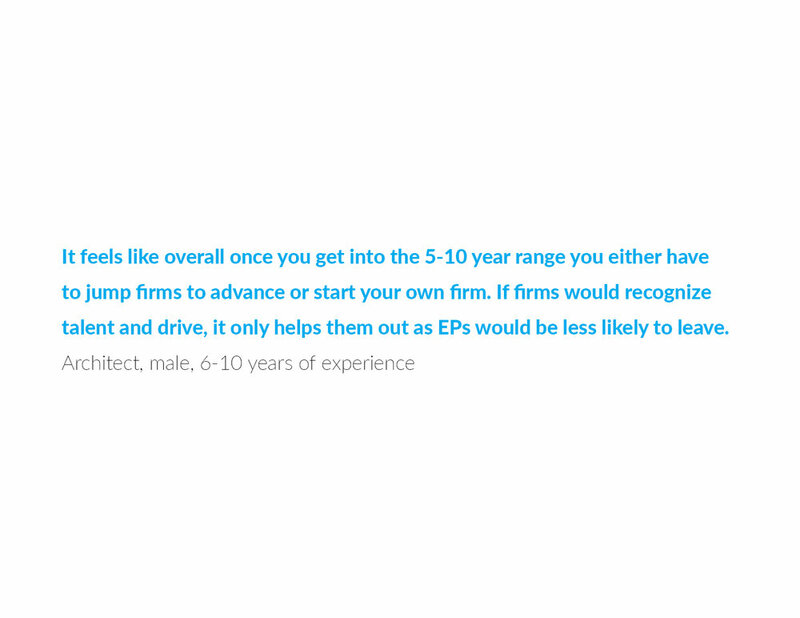 For male respondents, primary reasons for not getting a license include the cost of the process, the lack of time and motivation. 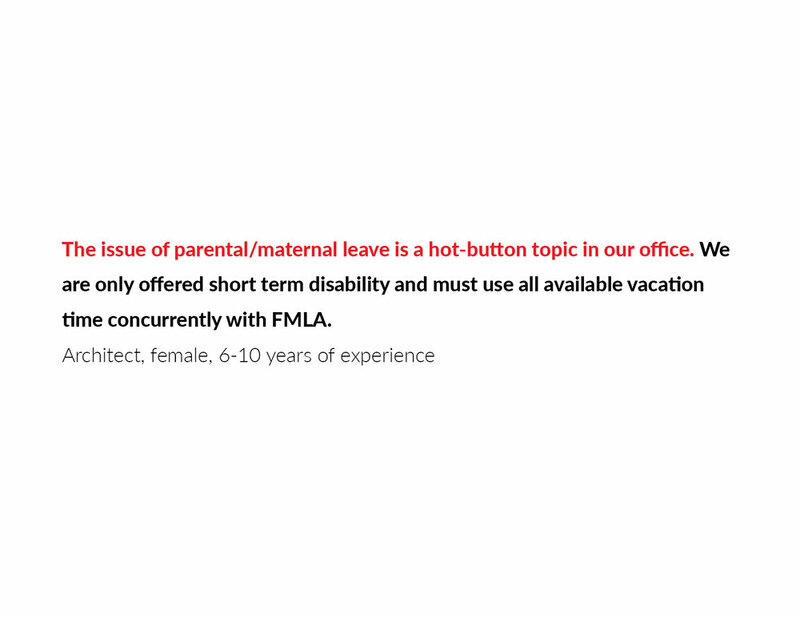 For office policies, we learned that 34% of designers do not know office policies such addressing parental leave at their firms. In addition, 44% of female survey-takers and 32% male survey-takers do not know if there is pay equity at their firms. How can we improve transparency & communication between employees and leaders? An intriguing observation was also the fact that the majority of respondents feel challenged at the work place (58%) and comfortable asking questions (80%). However, they do not feel comfortable initiating ideas (45%). How can we make an open-minded work environment where sharing ideas is encouraged? According to the data, 55% of respondents are motivated by working in an open-minded environment - one that brings diversity of opinions, backgrounds and ideas together.